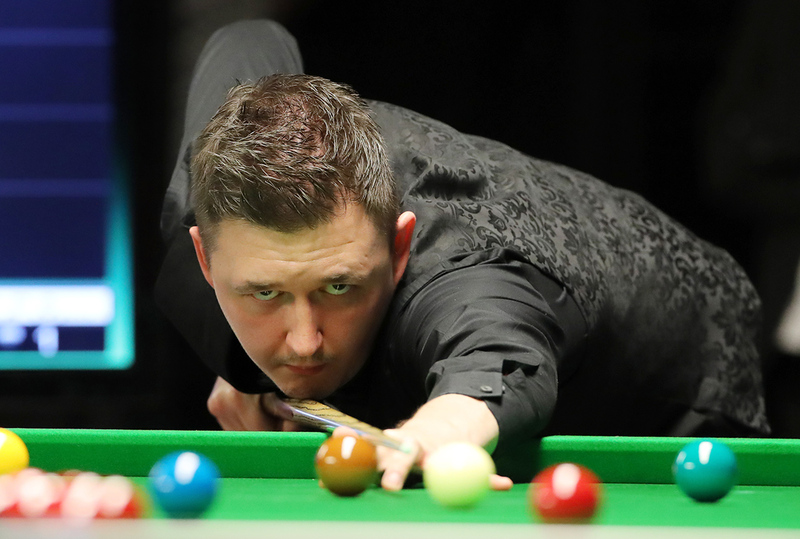 Kyren Wilson crushed Stephen Maguire 6-1 at the D88.com German Masters to set up a final meeting with David Gilbert. Wilson will be aiming for his third ranking title, and second of the season, when he faces Gilbert over 17 frames at the Tempodrom in Berlin on Sunday. The trophy and a top prize of £80,000 awaits the winner. It has been a superb season so far for Kettering’s 27-year-old Wilson; he has won the Paul Hunter Classic and invitational Six Red World Championship as well as reaching the final of the Champion of Champions. Victory tomorrow would strengthen his reputation as one of snooker’s blossoming talents. World number nine Wilson beat Mark Williams 5-0 in the quarter-finals and was in similar clinical mood against Scotland’s Maguire. Breaks of 67 and 51 helped give him the first three frames, then in the fourth he trapped his opponent in a snooker on the last red, and from the chance that followed made a cool clearance for 4-0. Maguire, whose last ranking title came in 2013, pulled one back after the interval and looked to be gathering some momentum when he led 47-0 in frame six. But Wilson pulled out a remarkable 63 clearance, which included a series of daring pots, to lead 5-1. That broke Maguire’s resistance as Wilson settled the tie in the seventh with a run of 62. “I felt as if I held my composure very well tonight,” said Wilson after reaching his sixth ranking final. “I knew I couldn’t give Stephen any easy chances, but at the same time I had to be aggressive and try to attack at the right times. “It’s pleasing to keep reaching the latter stages of tournaments. I’m just enjoying the events rather than chasing titles.